To receive more information about our expert residential or commercial sofa and upholstery cleaning service, do not hesitate, but contact us right away. Get in touch with us via the online booking form or by calling us on this phone number 020 3746 5234! We offer free consultations and emergency reservations, too! RA Sofa Clean has made its reliable sofa and upholstery cleaning service with the general purpose to meet any unique customer’s needs. This is why you can use for the process for commercial and residential purpose, along with for a single visitation or frequently. We can offer you weekly, fortnightly or monthly sofa and upholstery cleaning service in Hampstead NW3. What makes us so effective through the years and round the whole British cleaning industry, though, is our crew of specialists in hygiene and the fine approach into finding the best equipment and tools for the procedures. The cleaners bring everything required and you do not have to buy us any detergents or tools. We use only harmful and organic items. The cleaners offer you a free tip on sofa and upholstery maintenance per visitation. Using dry cleaning solvent for depending materials like gentle, suede, leather, 100% wool. Hot-water extraction and so on (or steam sofa and upholstery cleaning) for method materials and stubborn artificial. Hard job, dusty or wasted sofas can not scare us! We can assist you get rid of any kind of spots, including paint, blood, tea, coffee, vomit, wine and oily stains. We also have modern formulas for hard to clean stains like machine oil, ink or glue stains. Stain treatment is a significant part of our advanced Hampstead NW3 sofa and upholstery cleaning routine. We vacuum and fully sterilize the affected place, dust and safely disinfect the entire piece of furnishings. In addition to these, we use one of two popular and effective cleaning methods with 100% fulfilling final outcome. Dry sofa and upholstery cleaning approach is ideal for sensitive and 100% natural materials. We use no water or chemical products. The method includes only one modern biodegradable agent that dissolves the dirt deeply inside the fibers. Our innovative dry solvent method is useful on silk, plush wool, cotton, linen,, leather chenille, nubuck and viscose. 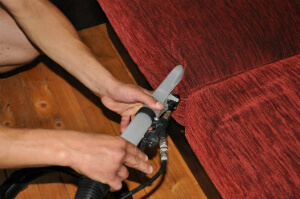 Steam upholstery and sofa cleaning Hampstead NW3 is a more thorough sanitizing procedure. It is a hot-water extraction method we apply with our latest equipment. Speaking of which, know that you don’t have to provide us anything for the service. We deliver everything required. Steam cleaning is usually recommended for old, synthetic and very dirty materials. Our environmentally friendly upholstery and sofa cleaning company uses only organic and natural solutions with no risky impact either on your living space, or on the environment. Use this phone number 020 3746 5234 at any convenient for you time! Get a free quote now or make a direct reservation for our affordable sofa and upholstery cleaning service in Hampstead NW3!